With a seemingly insatiable appetite for producing quality dance music and an ability to switch effortlessly between the scenes numerous genres thirty year old Ross Couch has become an highly respected producer with an enviable CV of over 100 releases on an impressive list of labels, numerous remixes and dozens of licenses to commercial mix CD’s including some of the biggest franchises in dance music like Ministry Of Sound, Bargrooves and Cafe Del Mar. With ‘Ross Couch’s’ last release of the year via his Body Rhythm imprint landing on Traxsource. We sat down with him to get an indepth look ‘Inside The Track’ and more with this Exclusive interview. 1) We’re really feeling your new ‘Feel This Sound’ EP. How is it being received in your sets? & How are other club DJs responding to the release? All three tracks seem to be going down really well so far, so it looks like it’s going to be a good way to cap off a productive year. DJ wise, I must admit I get a kick out of seeing guys like CJ Mackintosh and Ashley Beedle give the tracks their seal of approval as they helped define what good house music was all about many years ago when I was first starting to dabble with making music myself as a teenager. 2) Tell us more about ‘Feel This Sound’. What was the main inspiration behind it and what prompted the musical direction on this? 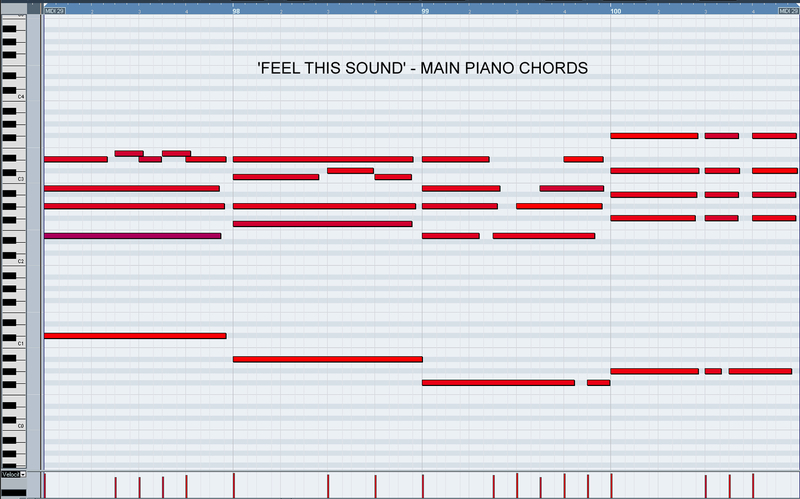 For the ‘Feel This Sound’ track in particular I wanted to try to represent a couple of different ideas within the one tune. The opening and closing stages of it have a more stripped back, stabby house / garage feel, while in the middle section I go for a fuller, more soulful, uplifting vibe which I feel has been a bit underrepresented so far in the current 90’s revival. I like to sit in-between the various sub-genres a bit, so I’ve written the track in a way that I hope means it can be enjoyed whether you’re into the deep, soulful or straight-up classic house style. 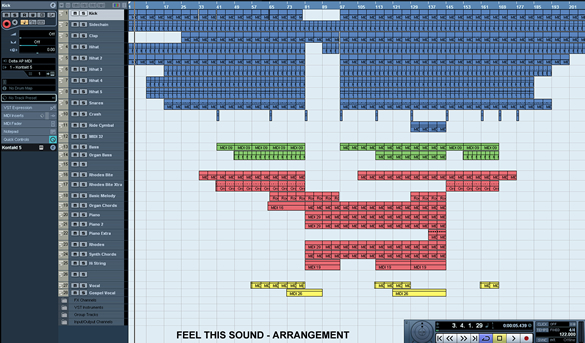 3) Production wise, what is it about ‘Feel This Sound’ that makes it work? Drum wise there’s plenty of swing applied and the snare patterns give the track a chunkier feel, as does the short, gritty Rhodes chords that kick in near the start. Elements like that help the track work on the dancefloor. 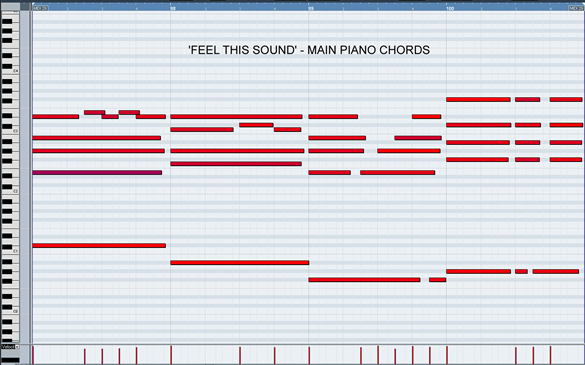 There’s some short vocals included which I often like to add in to give the listener a hook to latch onto. The progression is another important element in this track. I gradually add layers as the track progresses, some slowly creeping into the mix via gentle volume or filter sweeps which helps build tension towards the breakdown. That’s the start of the more musical section, which hopefully makes the track more memorable. I still stick to the same principal of bringing in elements gradually again as the track heads towards it’s climax. Then I return to the more stripped down feel of the early stages of the track, which provides a nice contrast and makes it easier for the DJ to transition out of. 4) What is the one machine, program, sound, drum machine, technique that characterizes the signature the Ross Couch sound? People tell me that I have my own distinctive sound, but it’s tricky to put into words why that is. I think part of it is that my stuff often ends up being quite emotive. I’ve always felt like the best house tracks don’t just make you want to dance, but also connect on some other level too. Good music seems to be like a stimulant for our emotions, so I’m always interested in finding ways to tap into that with a chord progression, a melody or the interaction between a number of different layers and elements. It’s almost like tuning into a station on an old am/fm radio as you search around for the notes that’ll dial in loud and clear to the feeling or mood you’re trying to create. 5) What is the one piece of kit that Ross Couch simply cannot do without? That’s a tough one to answer. 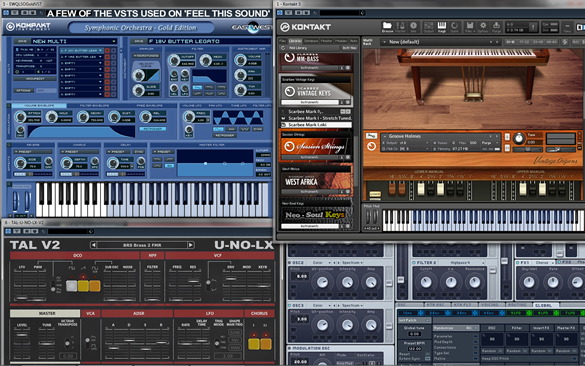 I guess I often use some kind of Rhodes piano in my tracks, so I wouldn’t like to be without that. There’s a lot of VST’s that do a good job of providing that kind of sound, which means I don’t have one in particular that I always use. 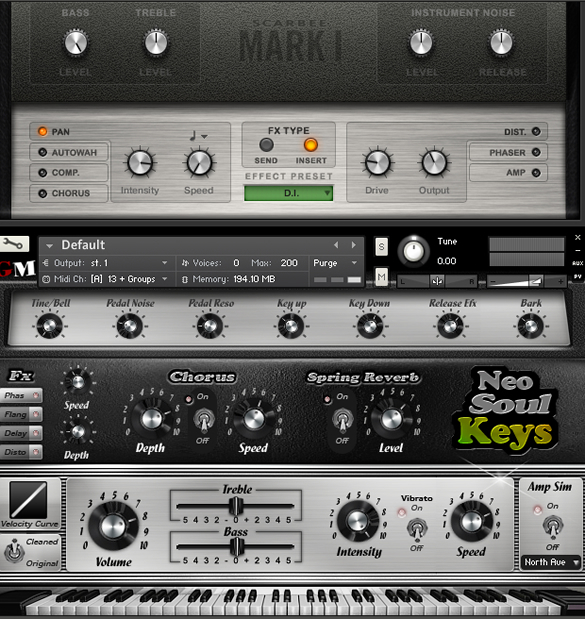 Scarbee’s Vintage Keys is always dependable, Neo-Soul Keys has it’s own character, and there’s various other synths and romplers over the years that had their own versions of the electric piano that can bring a different flavor. 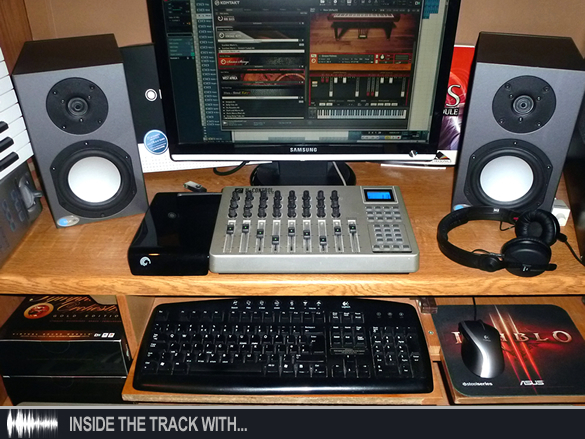 I even used the free, no-frills MDA ePiano on some of my tracks a long time ago. Secondly, I notice that a lot of up and coming producers spend a lot of time worrying about things like compression, loudness, mastering, etc. ‘You can’t polish a turd’, the old saying goes and it’s always worth keeping in mind in this instance, so don’t get too fixated with those cosmetic aspects of making a track. Never forget that it’s the actual music itself that’s important – things like strong hooks, distinctive sounds and memorable – so channel as much of your time and energy into the creative side of things as you can and your music will benefit from it. Finally, and on a somewhat related matter, while there are a lot of people out there these days who do great things just by drawing in notes with their mouse and manipulating samples, I’d always recommend learning to play keys. 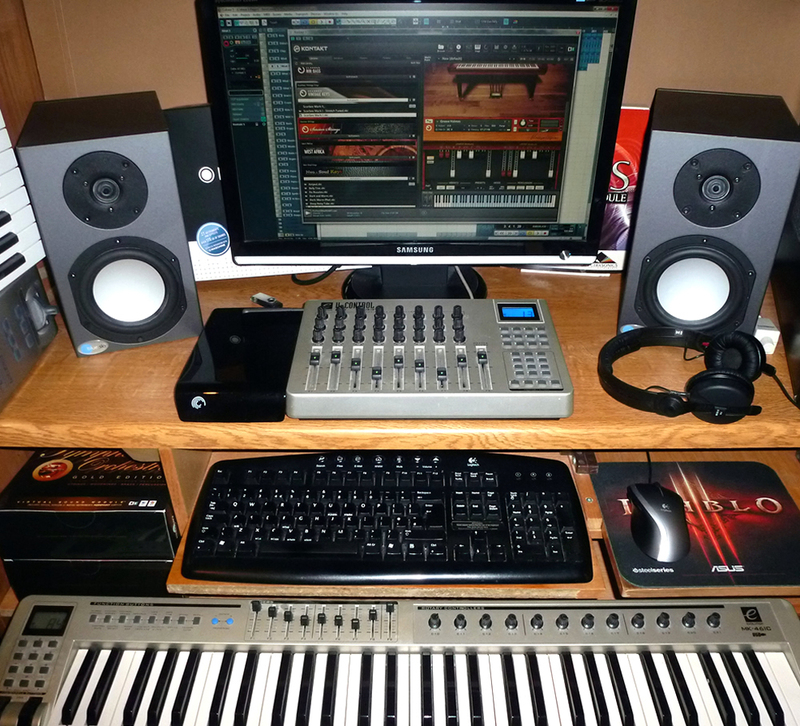 It gives you much more flexibility, makes it easier to bring your own ideas to life, and will generally take your music to the next level and help you stand out from the crowd. You don’t necessarily need to take lessons or swallow a book on music theory either. It’d certainly help, but I can say that in my case I learned to play largely by trial and error, and I know other producers who’ve done the same.